You’re in Southeast Asia and you’re low on money. Now, you’re running a fever…and you don’t have any insurance. What do you do? 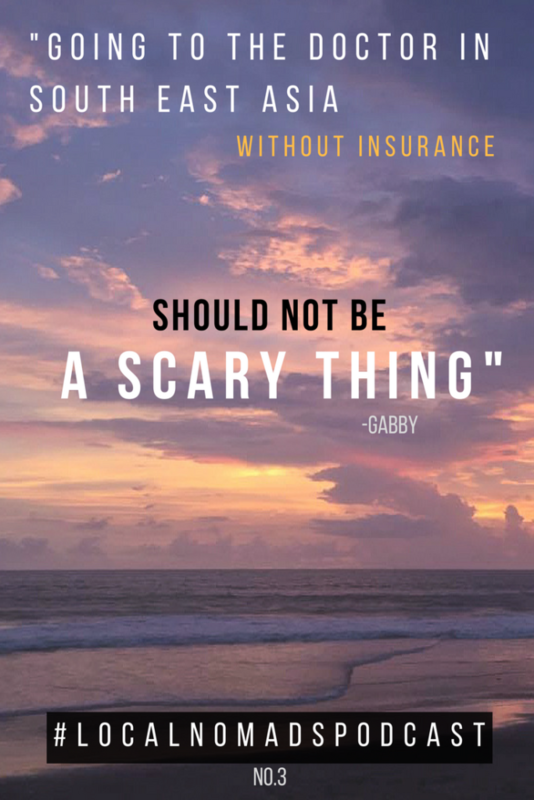 We’d spent four amazing days enjoying the sun and surf in Bali, then Gabby got sick…really sick. As it turns out she’d been bitten by a potentially life threatening mosquito! In our third episode we recount the story of our budget busting month… three weeks in Bali, Indonesia. Join us as we go from the highest of highs on Echo beach, to the darkest of lows in the hospital only 4 days later. 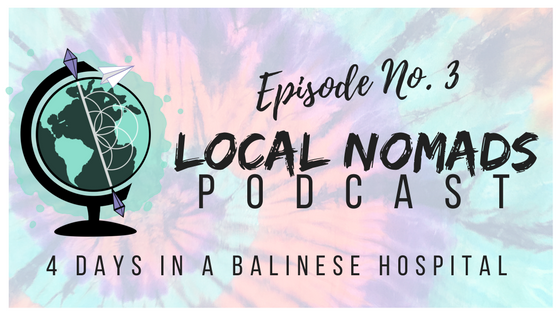 If you love to relish in the pain of others, or enjoy a good travel-story-gone-wrong, this is the episode for you! Tell us what you think! We want your feedback! If you have any questions or want to send us some love please feel free to leave it in the comments section below! Don’t forget to connect with us on SM! We’d love to link up with you on Facebook, Twitter, or Instagram…and yes, even Pinterest. Holy ?!! A mesquito made her that sick! Thanks so much for listening, John! Bug spray is definitely our cologne of choice! You get used to the smell very quickly. You’ll also quickly learn the taste if you use it at the dinner table! What good is pain if you can’t share it with everyone? ? So glad this story has a happy ending. Keep sharing with us. Love to read your posts. 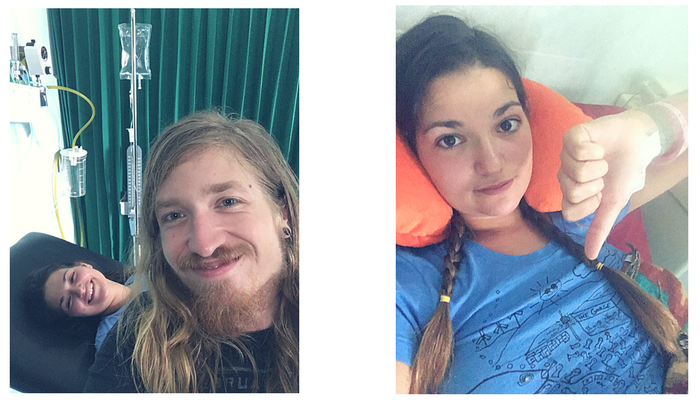 This was one of the most stressful months of our travels. 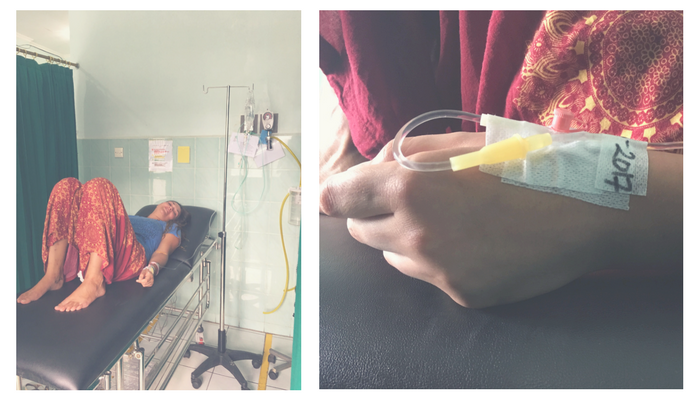 Luckily, Dengue is relatively common in this part of the world and the hospital was ready to handle it. 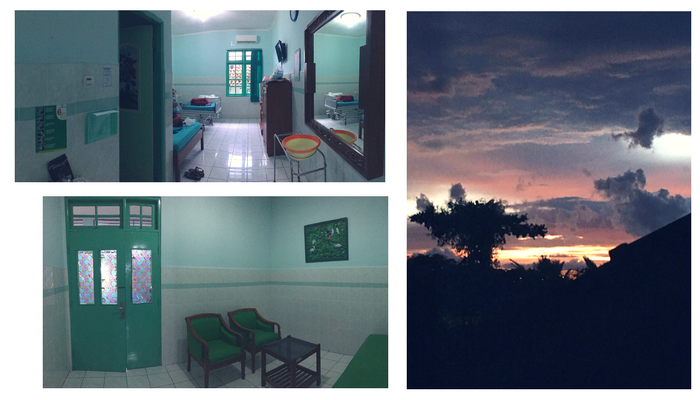 Almost a year later, and we’ve been back to Bali once more. This time with no hospitalizations!